Most developers don’t like Excel as a “development platform”. Many projects are migration projects from an Excel solution to a “real application”. And often this is worth the trouble. But in some cases Excel has a lot of advantages. An Excel workbook can be set up in many ways, and it usually starts off very small, to end in a big spaghetti where nobody knows what is going on. And nobody dares to change a thing. Sounds like a typical spaghetti .NET (or enter your favorite language) project. So let’s try to make our Excel project manageable. Every workbook starts with the first sheet. And initially there are some cells that we use as input, and then some cells are used as output. If you want to keep a nice overview of what is happening is is worth creating separate sheets for separate concerns. Use this sheet to gather all the input parameters from your users. This can be a simple sheet. 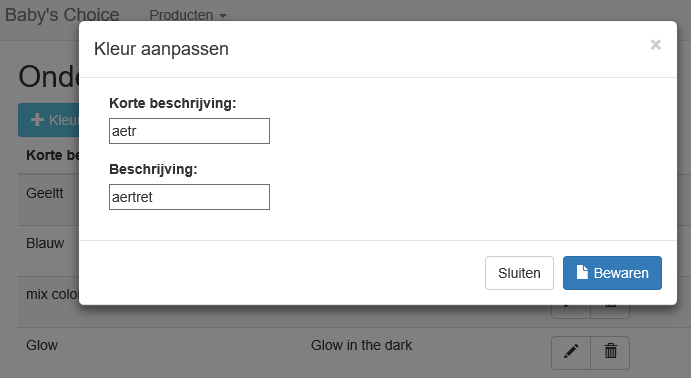 In the end this us the user interface to your workbook, so make it easy for users to enter data. Use data validation and lookups to limit errors. The input sheets should be the only thing that can be modified by the end-users. 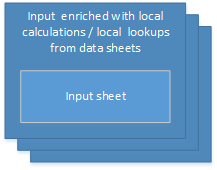 You can also do some simple calculations that are local to the input sheet. For example adding 2 input fields together to see their total may be handy here. This also gives immediate feedback to the user. Looking up the city that goes with a ZIP code is another good example. I know that most of us have a problem remembering the syntax of “lookup” in Excel, hence the link . Depending on the nature of your applications there can be 1 or more input sheets. For example a simulation using some parameters will typically contain 1 input sheet, where an accounting application (with cash books, bank books, …) may contain multiple input sheets. Principle: all the calculations that only concern the input data can be done already here. Using some data from the datasheets (as static data) can also be done here. This will give us the first intermediate results. These sheets will contain the output for your users. The sheets should not contain calculations, only formatting. They will present the results from the calculation sheet(s). Of course formatting means changing fonts, colors, … and also cell formats. Principle: This sheet contains no calculations, only formatting. Everything should be calculated in the calculations sheets already. Your workbook will probably need some data, and if you’re lucky this data is in a structured format. This data serves as static input for your calculations. Often you will want to calculate some results per data row. This can be done in a separate sheet per data sheet that will contain all the necessary calculations that are only using data from that data sheet. Eventually you will want this data to be stored in a database to be able to access it from many applications (think reporting, for example). Add columns to the raw data that contain calculations on the data per row. Maybe you have some fields to be added already in the data that you’ll need later, some Lookups to do. All that does not involve the input data can be done here. Make sure you put the calculations away from the data (separate them by some empty columns for later expansion of the raw data). It may also be a good idea to use colors to indicate which are the calculated fields. Add a new sheet that will contain all the calculations for this data sheet that depend on the input parameters. This sheet will calculate intermediate results that are needed later. Principle: Separate data from calculations, either by adding calculated columns at the end of the raw data, or by adding dedicated sheets to calculate these intermediate results. This is where you perform more complex calculations. Some simple calculations can be done on the input sheets and the data sheets already, but all the complex work should happen here. The calculation sheets will use the (calculated) data from many sheets and combine this data to become the final (unformatted) results. Because all the simple calculations have been done in the input- and datasheets, the calculation sheet is just consolidating this data. Principle: This is where the sheets in the workbook are combined to produce the end result. The local calculations per sheet are done already, so that only the consolidation logic remains. In the proposed structure it is easy to see that calculations are done in the input sheet over only the input data (and maybe some lookups using the data sheets). Calculations over the data is done in a separate sheet per data sheet. It is only in the calculation sheets that data will be combined from different sheets. In this way the workbook remains manageable, even when it grows bigger. The workbook is simpler because the intermediate results are calculated as close as possible to their data. It is easier to create more complex formulas when the intermediate results are calculated already. Instead of trying to squeeze everything in 1 formula there are now building blocks available to be used. The results become more consistent. The formulas for calculating the intermediate results are not repeated all over the workbook. So there is less of a risk that in some instances a formula is (slightly) different. This will prevent hard to solve errors. The results are easy to test. The intermediate results are simple, so verifying if they are correct is easy. The more complex formulas are using the intermediate results as building blocks, so they become much easier to test too. If something goes wrong it is easier to track back where it went wrong. This can be seen as a kind of unit testing. Did you notice how I don’t care about performance in this case? That is because the other advantages outweigh this by far. But of course there could be a performance gain as well. In this way the purpose of each cell or range is clear. An additional advantage is that you can now move the named cells and ranges elsewhere in the workbook if you need to. As long as the new zone gets the same name, all the formulas referring to it will still work. If you look closely at an Excel workbook, then you’ll notice that the cells either contain input values which can be modified by the users, or output values. 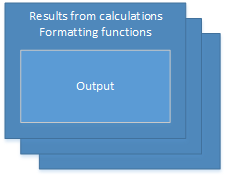 The output values are obtained by calculating formulas in various sheets, and with many dependencies. But each formula contains functions that have no side effects (unless you start to use non-deterministic functions of course). So calling a function will never do something bad to your input data. It will of course update the cell which contains the formula, in a deterministic way. Once the workbook is properly structured it becomes easy to separate the data from the functions. The functions are now very clear and easy to implement in some programming language. The names ranges can be the names of variables in your program, making the match easy. We use the Excel workbook here as input – processing – output, which can be perfectly done in a Functional language, such as F#. You will end up with data coming from the database, input parameters and functions to be applied. This will then give the end results. More on this in a later post. Some of the spreadsheets contain a lot of data. The advantage of this is that the spreadsheet is completely self-contained, and there is no dependency on a database. This also means that the spreadsheets can easily be tested by the domain specialists. But as you can see in the picture, some of the spreadsheets turn very big. So loading the spreadsheet in memory can sometimes take up to 10 seconds. We are lucky enough (?) to not have too many users using the simulations simultaneously. It is not always possible to keep the all the different spreadsheets in memory as memory is still not unlimited. In some situations it is necessary to recalculate simulations. This is done by a daily batch job. As you can imagine this job runs pretty long. And the users must wait until the next day to see the new results because the job only runs once per day. As a practical remark: Most of the pictures below contain a link to a page with more explanations. In the user interface it can take some time for a simulation to finish. When not too many users are performing simulations at the same time, this is more or less acceptable. Once the load on the server becomes heavier the throughput is not sufficient. This solution is not easily scalable. We can put several servers behind a load balancer, but the servers will require a lot of memory and CPU(s) to perform the calculations timely. The spreadsheets have a limit on their size. I don’t know by heart the maximum size of an Excel spreadsheet, but I am sure that it will be far less than any database. Also a lookup in a database happens very fast (if you put the indexes right etc), whereas a VLookup (or an alike function) in Excel will plough through the data sequentially. So the solution is not very extensible. When many users are performing calculations the server will be very charged, and at quite moments the server does nothing. But when the batch job starts, the server will be charged again. Luckily we have a timeframe during the night where the server is less used, so we can then run the batch jobs without disturbing our users. To spread the load of the simulations better in time we can start by putting requests on a queue. Several clients can put their requests on the queue at a variable rate. The messages are processed by a worker at a consistent rate. As long as there are messages on the queue, the working will handle them one by one. So no processing time goes lost. So now when a simulation needs to be recalculated, it can be put on the queue and handled in time. The lengthy batch job is not needed anymore. Of course with this initial design we introduce new problems. It is clear that requests coming from the UI should be processed before the background messages (fka “the batch job”). A second problem (that is out of scope for this post) is that we put a message on the queue in a “fire and forget” mode. We just count on the fact that the queue with its worker will handle the message eventually. For the background messages this is ok, but the requests coming from the UI must return a result. This can be done in several ways, one of the most obvious ways being a response queue. When the worker has finished a calculation the result is put on the response queue, which is handled by a working on the UI side. This design will require the use of correlation IDs to work properly. The previous solution will improve the average throughput because the batch requests are handled together with the UI requests. But it may take a while to empty the queue. So the “Competing Consumers Pattern” was invented. The left side of the queue can still receive requests from multiple (types of) clients. On the right side there can be more than 1 worker processing the messages. More handlers mean that more work is done in a shorter period. Depending on the queue depth (the number of messages that are waiting on the queue) more workers can be added or removed. This is what we call elasticity. So now the average time that a message is on the queue will be shorter, and we don’t use more CPU than necessary. This can be important in cloud scenarios where you have to pay per cycle. The problem that background requests are still mixed with UI requests remains, but they will be handled faster, and in a scalable way. Each request will receive a priority. When a high priority request is placed on the queue, it will be executed before the lower level requests. So we put the UI requests on the queue with a high priority to make our users happy again. This pattern can either be implemented with 1 queue handling the priorities, or by creating a high-priority queue and a low-priority queue. The high-priority queue can have more workers than the low-priority queue, saving CPU cycles on the low-priority queue again. We can create a small component (with its own endpoint) before the queue. This component can verify for each request if the user has the necessary rights to execute the request. We call this the “Gatekeeper Pattern”. We can also validate the requests before they go on the queue (fire and forget), so we can give immediately a fault back to the client. We want to prevent exceptions in the workers, because this poses a problem: we can’t always report the error back to the client. Some solutions are to log the errors, or to create an error queue that can be handled elsewhere. This is also out of scope for this post. On the left side we can have many (different) clients sending requests to the queue. Before the requests are handled, the gatekeeper verifies the permissions, and also the content of the message. This provides a fail fast mechanism and an initial feedback to the client. Then the request is put on the queue with a specific priority. The worker roles handle the messages in order of priority. When needed; more workers can be spawned to improve the throughput. Finally the results are stored. Possibly the results of the calculations are put on a response queue to be consumed by the client. Currently the simulation spreadsheet is self-containing. It contains all the necessary data to execute a simulation. Let’s say that one of the input parameters is a zip code, and that we want to look up a record for this zip code. This means that the spreadsheet now contains thousands of rows with zip codes and their associated, of which only 1 row is needed. So we could pass the request to a dedicated queue that will enrich the request with the zip data and then pass it to a next queue to perform the rest of the calculations. Maybe after the calculation is done we want to enrich the results (as an example, we may perform translations). Of course there is a pattern for this: the “Pipes and Filters Pattern“. The spreadsheet doesn’t need to contain the data for the lookups, so it becomes smaller. This means that it will load faster, its memory footprint will be less, and it will be more performant because the (sequential) lookups aren’t necessary anymore. The simulation becomes less complex. The domain experts can now concentrate on the problem at hand instead of performing all the lookups. Tasks A and C will probably be much faster than task B (the simulation itself). So we can assign more workers to task B to balance the workload. 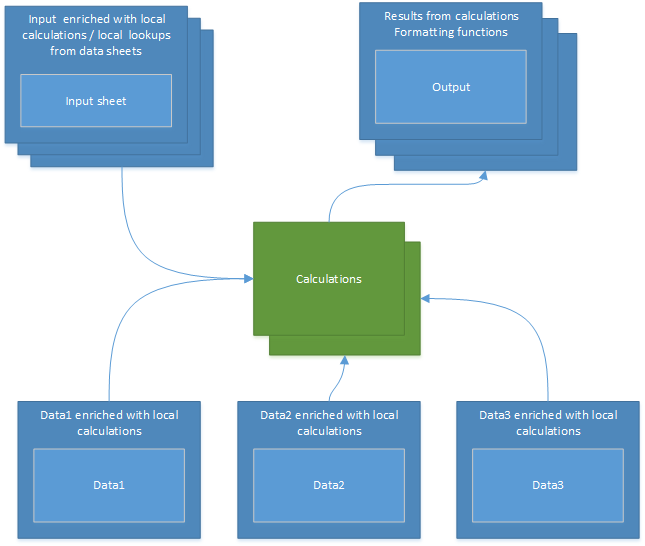 In the current design every request must be analyzed to see which type of simulation must be executed. It would be simpler to have a queue or a pipeline per type of simulation. This can be accomplished by the “Message Router Pattern“. The first queue implements the Message Router. Based on the content of the request, he message is routed to one of the queues. 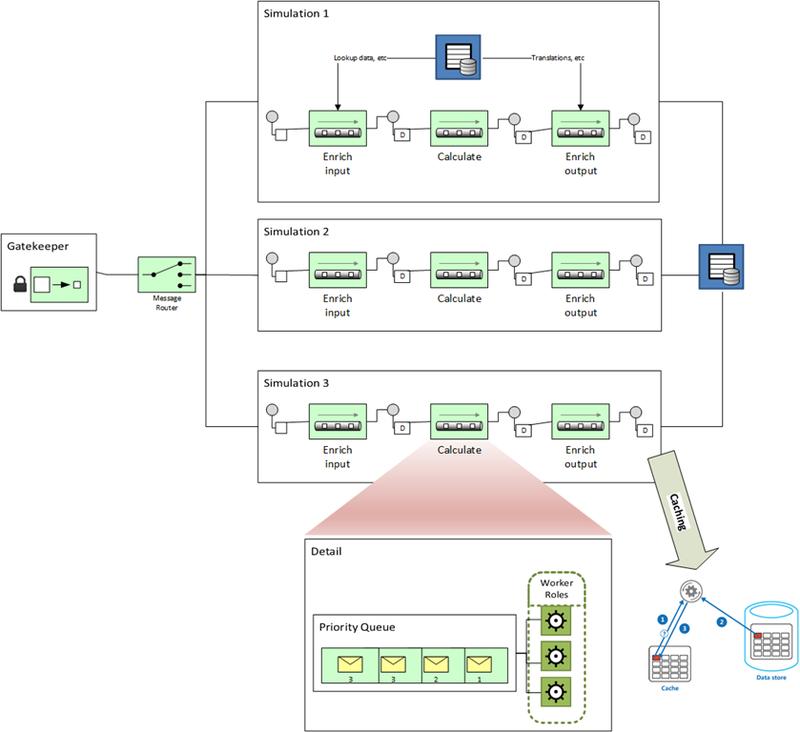 Each type of simulation gets its own queue, making the processing per simulation simpler. Of course more queues will be involved, and it may be a good idea to start drawing the solution now. A client send a request to the Gatekeeper endpoint. If the request is allowed and valid, it is passed to the Message Router. The Message Router analyzes the content of the request, and sends it to the corresponding queue (Simulation 1, 2 or 3). The simulation queues are implemented as a pipeline where the input is enriched, the simulation is performed and the output is enriched. Finally the result is stored. Depending on the tasks to be performed in each queue one or more workers can be assigned. This makes the solution highly scalable. Separation of Concerns. The implementation of each worker is simple because the whole workload is separated over multiple simple jobs. Monitoring. It is easy to see where messages are in the process. This is impossible in a monolithic implementation. Find the bottleneck. We only need to check the queue depths to find out where a possible bottleneck is. We can then assign more workers to this queue (or let Azure do this automatically). Performing the simulation in one service made it very hard to cache the spreadsheets. The spreadsheets were big, and there are many types of simulations that would reside in one address space. Now we can load the spreadsheet in the worker role(s) where it is needed, resulting in the “Cache-Aside Pattern“. The data for the lookups (enriching of the input parameters) can easily be kept in memory and the data for the translations as well. By separating all the workers it is easy to cache only the data that is needed. Client processes can be on different servers, and the worker processes as well. So we have effectively decoupled the clients from the workers. The throughput can be easily managed by playing with the number of workers, and the efficiency can be greatly enhanced by using caching. In the end the implementation looks more complicated, but it is implemented in small, simple pieces that work together. In this post I tried to take you through a couple of cloud design patterns. It is clear that this solution is very well suited to run in the cloud, because a lot of the functionality is already available. For example in Azure it is quite easy to set up the necessary queues, define the workers, and make it work. There are many variations on this solution, each with its own advantages and drawbacks. So this is not THE solution to all problem. But it does show that we can create scalable, performant solutions by decoupling functionality using queue patterns. If you have any ideas to add more patterns, or use different ones in this solution, feel free to use the comments section! Remember, I’m “graphically handicapped”, so I’m afraid that my users will have to do with the standard Bootstrap lay-out for now. The buttons are self-explanatory and always show the same dialog box. The blue button (Bewaren = Save) changes to Insert or Delete, depending on which action the user chooses. I will need this simple functionality on some more pages, so I want to make it a bit more generic. I don’t want to use an existing grid because the functionality I need for now is so simple that any grid would be overkill. And of course I’m suffering the NIH syndrome. I will describe the generic solution in another post later. The nice thing is now that we can call the functions in TaskListViewModel from anywhere (that is, with possibly a different “this”) and that they will operate on the correct “self”. In TypeScript every member of a class must be prefixed by this. So that should take care of the scoping problem, not? In short, we create the ColorsModel class, which contains an array of colors (Items). This model is then bound to the page containing this script. For more information on this check out http://knockoutjs.com/. As you can see on the <tbody> element, we bind the Items collection from the ColorModel to the rows. Each item in the collection will create a new <tr> with its values. We also create an update and a delete button, both bound to the $root methods UpdateColor (…) and RemoveColor(…). First of all, this attempt didn’t last long, you’ll quickly notice why. Remember that in TypeScript when you want to use a property you need to prefix it with “this”? As we now know “this” points to the wrong object, so it won’t have a property “this”. I feel a Catch 22 coming up. And yet, everything is working fine. 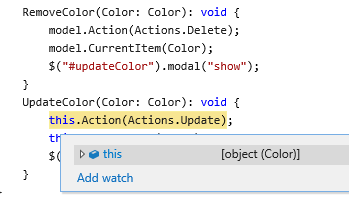 So the TypeScript “this” is translated into “_this“, and is implemented in just the same way as “self” was before. That solved the scoping problem. The debugger doesn’t catch this subtlety and show us the content of “this”, hence the confusion. But clearly everything works as it should and our problem is solved in an elegant way. Do you know another solution to this problem? Feel free to share it in the comments! In this article I want to give you some handles to structure your MVC applications in such a way that they become easier to test. The article isn’t really about MVC, but if you want more information on MVC, I put some references at the end of this article. MVC is a patte rn typically used for creating web applications. Of course it can be (and is) applied for other types of applications as well. In this article I only talk about APS.NET MVC. 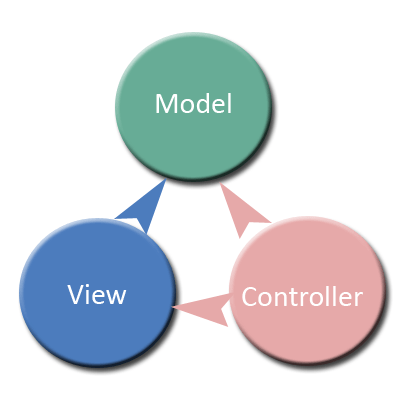 One of the reasons to separate the application in (at least) model – view – controller is to promote testability. We want to be able to test the application with as little as possible dependencies. In this post I only concentrate on testing the server side, which will be more than enough for 1 post. I only give a short introduction, to make sure that we’re all on the same page. To start with the easiest one: the view will be sent to the user, typically as HTML. The view can contain all the logic if you wish, because in the Razor syntax you can use everything in C# that you can use elsewhere. BUT that is not the idea. The view should bind variables, walk over collections, and generate the HTML from ready made data. In the view there should be as little processing as possible (server side). The client request is routed from the browser to the controller. Of course this is a simplification, but it will do for now. The controller contains methods with zero or more arguments that the routing system will call. This is done automatically in the framework. The responsibility of the controller is to use the arguments to generate the output needed in the view. For example, arguments can be used to obtain customers for a certain ZIP code. In this case the controller will obtain only the required customers and send them into the view. As we saw before the view will receive this data from the controller and represent it. Slightly more advanced: the controller can also choose to display a different view. The principle remains the same though: the view receives the data and renders is. We want to keep the controller as simple as possible, so we let us help by the Model classes. You may notice that I’m already trying to split up complex parts into simple parts to make them easy to test – as is the purpose of this article. Typically these are classes generated by Entity Framework (if you use database first), or your code first classes. I also like to include the repositories in the data model. Other classes that can go in here are classes that are generated from SOAP or REST web services (by adding a web service proxy to your project). These classes are mainly used in the Controllers to either modify data, or to obtain data (or both). It may contain other field names, in case this is clearer for the View. Sometimes field names in a database have to follow some (company) rules, or names from a web service may be very generic names. In those cases translating them into something more “speaking” may help your designers. The developer who creates the Controllers and other back-end code and the front-end developer are often not the same guy (or girl). It may contain extra annotations to indicate to the user interface that fields are mandatory, have specific validations, have default values, different (localized) captions. These can then be picked up in the View to automatically generate some validation rules. If the conversion is straightforward then it may be handy to use a library like AutoMapper, which will take care of the mapping of the fields for you. If the mappings become more complex I would advice to write specific conversion classes and methods. AutoMapper is capable of a lot of customization in its mapping, but you risk to complicate your code more than by writing a simple conversion function. Think also about the poor guy who needs to debug this code. Usually that’s you! Now that we have briefly determined the responsibilities of the MVC parts, we can set up and implement tests. If you haven’t already created a test project, do so now (refer to my previous posts about this if you are not sure how to do this). A shortcut can be to right-click the Index method and then select “Create Unit test”. This will present you a nice dialog and do all the hard work for you. Also add a reference to the “Microsoft.CSharp” assembly. This will make sure that you can use the “dynamic” type in your tests. This should be easy because these are just normal classes. Feel free to read my other articles on this in the Testing category of this site. Typically the Model classes will access a database, or call web services. For the unit tests this must be mocked of course, for example using a library such as MOQ. The other MVC classes will depend on the Model. So make sure you put enough effort in testing the Model classes. As we saw before, the controller must orchestrate some calls into the Model, and bring together the results. These results are then passed into the view to be represented. So in most cases you don’t want to generate representation data in the controller, as that is the view’s responsibility. ViewBag: this will create a new property on the dynamic object ViewBag, to be able to pass the resources collection in the View. This prevents us from having to cast Model everywhere in the View. I choose an easy example to test, with no parameters; but the principles remain the same. Use the right constructor to pass this into the class. In the “act” phase we call the Index method. I also create some local variables to store the results that are to be tested. As we said when describing the controller, we use 2 ways to pass data into the view, and that is the reason that we have these 2 lines here. The “resources” variable retrieves the controller data via the ViewBag, the “agendas” variable retrieves its data via the Model. Notice that the Model needs to be casted to use it. The assertions use the obtained controller data to make sure that it is correct. These are normal Assert statements, nothing fancy going on. In the last assertion I test that the ViewName == “”. This is the case when you don’t specify a ViewName in the Controller. If you return different Views from the Controller depending on some arguments, then this is the way to test if the correct View is returned. There is no straightforward way to test your Views in the MVC Framework, which is a good indication that this is not a good idea. There are some libraries and Open Source projects to test Views but is it worth it? If all is well your View doesn’t contain any business logic. This should be in the Model classes, and possibly also in the Controllers of your project. So the view only contains representation logic. It will bind values to HTML controls, possibly loop over a collection and that’s it. Also Views may change a lot. This is what a user sees from the application, so users will probably want to change lay-out, order of fields, colors, … You don’t want to adapt your tests each time a lay-out change has occurred. So in my opinion it usually is a smell if you need to test your Views. And it is better to deal with the smell than to invest time in testing your Views. The advice I try to give in this article is to make small testable Model classes that are easy to test. Then put them together in the Controller, with the necessary conversions. The conversions are preferably in separate (testable) methods. The Controller methods can then be tested in the usual way. There are some small caveats in the setup of the test project. Did I forget something? Would you do things differently? Say it in the Comments section! What is the role of the database? Most non-trivial applications will use a database to store data. This database can be relational or not, but some data store will be needed. Most modern database management systems (DBMS) can do much more than just storing data, and as we know: with great power comes great responsibility. What should a DBMS do? Store correct data, preferably in a durable way (but not always, check out in-memory OLTP). So simple data validation is part of this responsibility. Retrieve data correctly and fast. Security. Make sure that data can only be modified or retrieved by the right people. This is not the scope of this post. A DBMS has many possibilities to fulfill these 2 conditions. 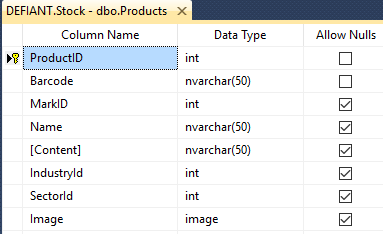 In this post I will discuss mostly a general DBMS, using SQL Server as an example. So Oracle fans, please don’t shoot me. Data is stored in tables. That could conclude this chapter, but let’s see what happens when we insert / update / delete a record in SQL Server. I simplified things, and I probably forgot some actions left and right. Feel free to let me know in the comments section! Check if all the mandatory fields are filled. In the example these are all the fields where “Allow Nulls” is not checked. Check if all the fields are in a correct format. It will not be possible to store ‘ABC’ in the MarkID field, because its data type is int. Check the conditions between fields. Maybe you’re storing a period with a from- and a to-date. Probably you’ll want the from-date to be before the to-date. This can be enforced using check constraints. Check unique constraints. A primary key has to be unique, and this must be validated. In the example the ProductID is the primary key (as you can see by the key symbol next to it). Other unique constraints need to be validated. You can for example make sure that the first name, last name are unique by creating a unique index over these 2 fields. Check referential integrity. We saw in last week’s post how to normalize a database, which will create related tables in the database. The relationships (foreign keys) must be checked as well. Creating these relationships will enforce this, and tools (like Entity Framework designer) can use this information to automatically create relations in the model. ID, which can be an identity field in SQL Server, or come from a sequence in Oracle (and SQL Server too in the latest versions). A GUID (unique identifier) that can be generated as a default value. Specific defaults that have been created for this table. When all this is done the row will be inserted. This means that the log file is updated, and that the row is added in the right memory page. When a checkpoint occurs the page will be written to disk. After the row is written the insert triggers are fired (if any). Insert triggers can also perform validations, and rollback the transaction. This is AFTER the row has been written, so it is not the most efficient way of validating data. The trigger execution is part of the same transaction, so if the record is invalid we can rollback in the trigger. This means that the record has been written in de log file already, and this action is now undone. Usually the need for triggers indicates some data denormalization. This can be done for performance reasons, or to perform more exotic validations. Most of the actions for an insert will be performed for an update as well. Default values will not be set, this only occurs when a record is inserted. Update triggers can be used to set fields like [LastUpdated] for auditing purposes. Referential integrity is verified, and can be handled in several ways. No Action – When the field is updated and referential integrity is broken an exception will be thrown and the update will not be performed. Cascade – The value of this field will set the value of the foreign key in all the detail records as well. 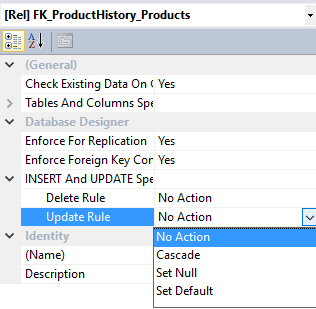 Set Null – All the detail records’ foreign key will be set to null. After the update the update triggers are executed, with the same undo logic. The data page for the row is retrieved and the row is marked as deleted. Referential integrity is checked, and can be handled in the same ways as when updating a record. When the row is deleted the delete triggers are executed. It is important to retrieve data as fast as possible. Users don’t want to wait for minutes for a web request to return. And often,when a request is slow it is due to the database. Of course there can be many other causes, but the database is usually the first thing to look at. Retrieving the data is the simplest operation, but it is very critical because when inserting / updating / deleting records, the DBMS must also retrieve the correct record(s) to work with. Indexes are very important at this stage, because without indexes the only mechanism to retrieve data is a full table scan. This will soon become a problem for performance. Indexes are not the scope of this article. In a well-normalized database queries can quickly become complex. Most development tools (like Visual Studio, SQL Server Management Studio, …) have query builders that take away the heavy typing. These tools work best when you have also created all the relationships between your tables. 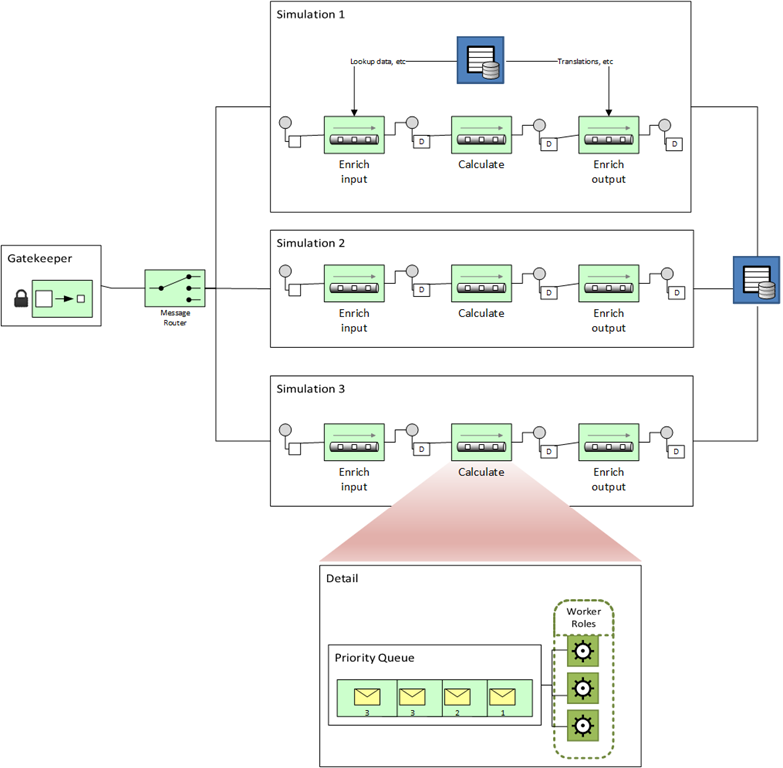 SQL Server has a nice designer to maintain your relationships, the Database Diagram Designer. It allows you to create relationships in a graphical way. The database is automatically documented. When you see the database diagram, you understand immediately how tables are related. In our little example we see that a SalesOrderHeader can have many SalesOrderDetails, and must be linked to one customer. The DBMS can now enforce relational integrity. A SalesOrderDetail must be linked to a SalesOrderHeader. What Should the application do? Now that the database is set up the application can focus on using the data. We are sure that most data can only be entered in a correct way in the database. This doesn’t mean that no verification must be done at the application level, but if we fail to verify the DBMS will make sure that no invalid data can be entered. This also applies when data is modified using other tools than the application (for example by using SQL Server Management Studio or linking tables in Access or Excel and directly modify the data). Users want to have immediate feedback about the data they enter. If is a pity if a user enters all their data, only to find out that at the last step (saving into the database) there are some things incorrect and hey have to start again. Referential integrity means that we store the (often meaningless) key to the related table. If you would for example use GUIDs for your primary keys then users would be required to know – remember – type these GUIDs in the user interface. No user will do this. Combo boxes and other mechanisms are more user friendly. Many tools will generate this automatically if the relations are properly put in the database. We preferably enter the data correctly in the database. the DBMS will verify your data, but rejecting the data means that a lot of time is wasted. If you’re alone on the database this isn’t a problem, but on a loaded system with thousands of users this will impact the performance for everybody. It is better then to verify the data on the user side as much as possible. Not all verifications can be done on the user side. Unique constraints are typically only checked at database level (and therefor require indexes to be created). Entities must be stored in the database. Depending on how your application is set up entities can correspond to single tables, or be stored in multiple tables. This can be done by simple insert statements (or by your O/RM, which will do the same in the end). How about stored procedures for CRUD? Consistency. Every modification in the database is done via a procedure. Data validation. More advanced evaluations can be done in the procedure, before issuing the actual DML statement. Automatic auditing / logging. In the same stored procedure we can insert / update / delete records, and then write some entries in a log table. This is typically done in a the same transaction. Security. For the 2 previous reasons we may want to block direct DML access to the tables and only allow modifications (and possibly reads) through stored procedures. Many procedures. If we need at least 4 procedures per table, the number of procedures will grow fast. In a moderately big database this means hundreds of stored procedures to be written and maintained. For this reasons there are tools available that will generate the CRUD procedures for a table. This doesn’t solve the problem of the many procedures, but it will at least reduce typing! Code organization. Some code will be repeated in many procedures. So either we copy / paste or we create a new stored procedure for this common code. In SQL Server is it not possible to create “internal / private” procedures that can only be called from other procedures and “public” procedures that can be called from the outside. So everything will rely on good naming conventions and discipline. Tools. Most tools and frameworks (ADO.NET, EF) are capable of calling stored procedures for update statements. But in the procedures a lot can be going on, and the tool doesn’t know about all the possible side effects. Cached data can be invalid after calling a stored procedure. For all these reasons nowadays we usually choose to have the OR/M generate its own DML (data manipulation language) statements and don’t generate all the stored procedures, unless there is a good reason for it. Usually we create repositories that will be called whenever an application needs data or wants to modify data. In these repositories we can add some more validation if needed. Of course this doesn’t prevent the use of applications to directly enter data in the database! Code organization is a problem again, for exactly the same reasons I have already given before. SQL is not the best language for programming business logic. Even though the most basic language constructs (loops, selection, …) are available, it usually is easier (and more maintainable) to write the code in an OO language (or for fans of functional languages in F# or Haskell ). Compiler support will be much better. Your application code depends closely to the DBMS. If your software becomes popular and must run on different DMBSs you’re out of luck! It is hard to debug SQL stored procedures. Since the latest versions of Visual Studio it is possible to debug stored procedures, but it still complicates things and it is not as powerful as the C# debugger. You need a good SQL developer who knows what he is doing on the database. Don’t forget that the database layer is used by many users. So if a procedure is badly written it may impact the performance of the DBMS, and hence the performance of every application that depends on it. By default database objects (such as procedures) are not versioned. So if someone modifies a stored procedure and now your application doesn’t work anymore you’ll have a good time finding what has been changed. Some would describe this as “job security”. It doesn’t scale! I kept the best for last. When you discover that stored procedures are the bottleneck of your application, you can’t just put another server on the side to add some more power. So even though it is possible to use stored procedures to implement business logic, there are some good reasons not to go that way! So when are stored procedures OK then? Simple: when you implement functionality that has to do with your database, and which doesn’t implement business logic. For example just copying client data may qualify. Having said that this is simple I can tell you that if you put a couple DBAs together and you throw this “in the group”, you can expect long and hefty discussions. The database is a very important part of your application. So it is a good idea to not make it your bottleneck. Try to use the DBMS for guaranteeing that data is stored as correct as possible and retrieved efficiently. Stored procedures (and user functions for that matter) are very useful, but must not be used to implement business logic. With modern OR/M frameworks the use of stored procedures for CrUD operations is not encouraged anymore. After I published last week’s article somebody asked me why I stated that (in this case) the problem didn’t originate in having a function with logic, but merely having to work with a database that is not normalized. So let’s talk about database normalization. The function does more than 1 thing. It will first find a record in the table RepresentativeComputers, hereby relying on a magic string ‘ERP’. This is for a small company, with a limited number of sales representatives so they enter some data in the tables manually. This is not necessarily bad but it has to be documented somewhere. Also, having a T-SQL function that needs multiple queries to do its work is not always bad, but it is a (light) red flag already. Just to nitpick a bit: using “top 1” here is a bit dangerous without an “order by” clause. You’ll never know which “first” row it will take as this may change when the query is adapted, or indexed are modifed, or other changes happen in the database. In this case it seems that there will only be 1 row returned anyway, so the “top 1” can be safely removed. The select statement over the SalesOrders table is worse. We see that the where clause is pretty complex, using SUBSTRING, RIGHT and CAST functions. We’ll see in a moment why this is a big red flag. In the last part a new code is composed coming from the result of the query over the sales orders. No error checking. This is not the topic of this post, so I won’t elaborate on this. 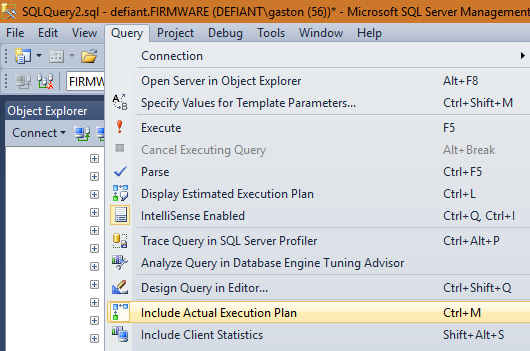 If you want to know more check out try / catch in T-SQL. The main important thing to notice here is that on the right there is a Clustered Index Scan over [SalesOrders]. This means that we are actually doing a full table scan using the clustered index. In this case there are only about 45K records in the table, but this will grow in the future and start to create problems. Let’s review and apply Codd’s database normalization rules. 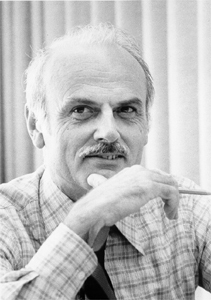 Wikipedia has a nice page about Edgar F.Codd, explaining a bit more about his achievements. I think he is mostly known for his database normalization rules. Database normalization, or simply normalisation, is the process of organizing the columns (attributes) and tables (relations) of a relational database to minimize data redundancy. Normalization involves decomposing a table into less redundant (and smaller) tables without losing information, and then linking the data back together by defining foreign keys in the old table referencing the primary keys of the new ones. The objective is to isolate data so that additions, deletions, and modifications of an attribute can be made in just one table and then propagated through the rest of the database using the defined foreign keys. There are (initially) 3 normal forms that can be applied over a first model of the database. They are called conveniently 1NF, 2NF and 3NF. After 3NF more normal forms can be applied but this usually only has an academic use. When the database is in 3NF it will be optimized for OLTP use. The prefix is always ‘SO’. So there is no need to store this in the database (unless it would change later, and then it will become a separate field anyway). SUBSTRING(SO.Code,4,3) contains the code for the season, always 3 characters. Right(SO.Code,5) contains the actual code, and this is the field that needs to be calculated in our T-SQL function. Having an index on the Code field and the Season field would improve the performance of this query and make it scalable. This doesn’t mean that everything must be split in separate fields! For example, there is not much use of splitting a date in Year, Month, Day fields (unless you have some very specific needs for that). Second Normal Form (2NF): No field values can be derived from another field. Create insert / update triggers that will automatically update the SOCode field. Revoke insert / update permissions on the table and only allow insert / update operations via stored procedures, in which you calculate the SOCode field. Create a view / table function over the table with the SOCode field as an extra (calculated) field. As you can see there are some ways to help you out, but they all require processing at the database level. And often the database is already the bottleneck for performance. So it is better to perform these (easy) calculations on the client side, if possible. Another side effect is that there is redundant data in the table, which can be good for reporting, but not for an OLTP database. Another example of this would be calculated fields like Total = price * quantity that are stored in the database. Third Normal Form (3FN): No duplicate information is permitted. In the modified table the Season field is stored directly in the SalesOrders table. When more information about seasons would be required (maybe a time period); an additional table needs to be created to accommodate for this. This will enforce referential integrity in the database. When should we NOT normalize? When the database is in 3NF it will be optimized for OLTP use. OLTP means that a lot of updates are done in the database. So the full range of CRUD operations is executed. If you want to run reports over your database then having many separate tables can be a problem. You’ll typically want to denormalize your database to simplify queries for reporting. And often a separate database is created for this, so you have a solution with an OLTP database for entering / updating data, and a denormalized database for querying. If you want to perform more advanced queries you’ll end up at the other end, being OLAP databases. Most experienced developers will probably perform the normalization steps automatically. And I suppose that most of you (or I) don’t know by heart which is 1NF, 2NF or 3NF, but we are capable of building good databases. Usually a database starts easy and normalized, and when it grows; a moment will come that shortcuts are taken. Eventually you’ll need to normalize the database anyway, be it for space requirements, or (probably) for performance requirements. So it is best to do this right away and think about your database changes beforehand. Don’t forget that in line of business applications the database plays the most important role. In the previous post I started to write about how to set up your unit tests in the repository code. The title was (maybe a bit misleading) “Unit testing your Repositories”. So I had to promise to write an article about the side of the tests as well. As explained in the other post, we only want to test the non-trivial functions in our repositories. We also don’t want to depend on the current state of the database, because this is never sure. So we want to mock parts of our database. This is not the solution for everything, but in many cases it will save us. Look at my previous post for possible problems with this approach. I have a real life example of a database containing sales orders. The database is not completely normalized and the sales order codes are actually a concatenation of a couple of fields. We want to write a function that will calculate the next code for a certain sales representative for a certain season. As you can imagine already, this will involve some string manipulation, conversions, etc. Currently the code is written as a user function in the database, so we have to convert this to C# using Entity Framework 6 (or better). The following approach won’t work with older versions. This function will in some way return the next sales order code, using non-trivial logic. The main problem is actually that the database isn’t completely normalized, which explains why we need in this case some more logic in our repository. Because C# as a language is more powerful than SQL, we can write this function a bit more concise (and clear). It still contains enough logic to justify writing a test for it. We also use the function GetPrevCode but to keep things simple we keep this function out of scope. Of course testing it would be done in exactly the same way! We are lucky with one thing: the method doesn’t change the state of the database, so running this test will not have any side effects. But we do depend on the current state of the database, which can (will) be different when we run the test again later, and of course our unit test is not fast, fast, fast! The test code also depends on the connection string, which for DEV may be correct, but in the TEST environment probably not. All my repositories derive from this class, giving me always the possibility to inject a mocked database for testing. Don’t forget to set the default project to your test project. As all the repositories derive from the Repository class, it seems like a good idea to implement a RepositoryTests class that will set up all the common stuff. Like that we don’t repeat ourselves all the time. In this class we will set up the mock for the SalesOrderEntities, and some of the tables that it contains. In the test base class I first declare 4 Mock objects. One to mock the SalesOrdersEntities and 3 other to mock the DbSets (the collections with entities). Then I create 2 methods to set up the Representatives (and their computers) and the sales orders. As you can see I’m adding the records hard-coded in these functions. This would involve a lot of typing without the help of our friend Excel. I used SQL Server Management Studio to obtain some records for each table. I then copied these records in an Excel spreadsheet and used a formula to generate the code to instantiate the entities. I only fill the fields that will be necessary now (YAGNI), but having it all in Excel would allow me to easily add more fields when needed. In the screenshots that you see here I removed all the data that could make this recognizable (privacy). As you can see I can easily add more rows if I want to, to execute more test scenarios. You may want to keep this spreadsheet in your source code control system and treat is like your other source code. This isn’t rocket science, but it has helped me on several occasions . I call the base class’ Init( ) method to initialize _dbMock. I pass _dbMock.Object in the repository constructor (DI). The problem is that the DbSet mocks don’t implement the IDbAsyncQueryProvider interface, which makes sense because we are not using a database here. So we need to find a workaround for this. In the repository we use the async / await pattern a lot, which depends on this interface. The actual SalesOrdersRepositoryTests class remains unchanged. And in case you wondered: yes, my test turns green now. Writing unit tests for repositories can be done. It requires some work but not as much as one would expect. With the help of Excel (or some other tool) you can generate the data in an easy way. I hope that I have given you a framework for your EF unit testing with this post. I want to warn again that not everything can be tested using mocks, so you will need to run integration tests eventually. But if you can already fix a lot of bugs (and prevent them from coming back later) using some clever unit tests, then this is a quick win.